The attacks took place at 9:00 a.m.. 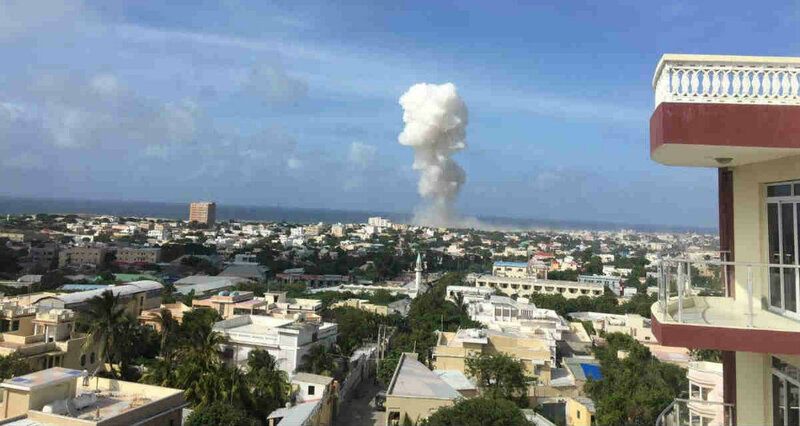 When two bomb cars detonated by a suicide attacker, exploded near the entrance to the Mogadishu airport, where there is also a base for the African Union and United Nations peacekeepers. Both the United Nations and the African Union missions said that none of their personnel were among the fatalities. Abdiaziz Abu Musab, a spokesman for the Al-Shabaab militant group, went live in a broadcast on the Andalus Radio Station that is under the panel’s command, to claim the group’s fighters had responsibility for the attack. He did not explain what has the reasoning behind the attacks or why the particular place was targeted, but Al-Shabaab militants have carried out multiple attacks in recent weeks, ahead of planned elections in the country. “The overwhelming majority of Somalis have rejected such terrorist tactics and the use of violence to achieve political objectives,” stated Michael Keating, the United Nations envoy to Somalia. “This horrific incident is a fresh example of the extremists’ desperate attempts to disrupt political progress. Neither the Somali authorities nor the United Nations will be deterred from moving forward,” Keating added. The large airport area in Mogadishu is a secure “green zone” for UN operations, the AU peacekeeping force and foreign embassies. 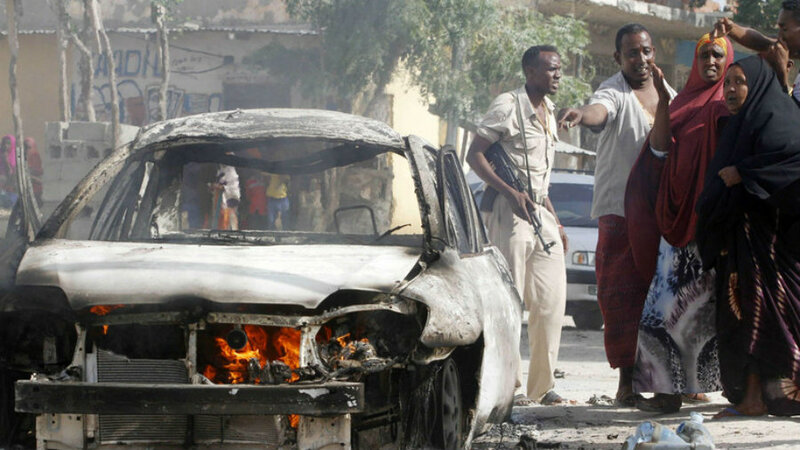 Somalia has been under a civil war since 1991. According to the UNHCR, as of 2016, there were around 975,951 registered Somali refugees in neighboring states. There is also an estimated of 1.1 million internally displaced persons. The majority of these individuals are ethnic minorities, and around 60% are children. In 2012 the first permanent central government in the country, The Federal Government of Somalia, was established. Many experts, including UN Special Representative for Somalia Nicholas Kay and European Union High Representative Catherine Ashton, have stated that the country is making some progress towards stability. In August 2014, Operation Indian Ocean was launched by the Somali government to clean up the ‘remaining insurgent-held pockets in the countryside’. However, the government has not defeated the militant group Al-Shabaab, whose complete name is Harakat al-Shabaab al-Mujahideen, which means “Movement of Striving Youth.” Its area of operations is Southern Somalia and Yemen and has a strength between 7000 and 9000 militants. In 2012, al-Shabaab pledged allegiance to the militant Islamist organization Al-Qaeda. As of 2015, the group has retreated from the major cities, controlling a few rural areas. Al-Shabaab is an offshoot of the Islamic Courts Union, a group of Sharia courts that united themselves against the Transitional Federal Government of Somalia. The courts splintered into several groups after it was defeated in 2006. Al-Shabaab has been designated as a terrorist organization by several governments, including Australia, the United Arab Emirates, Canada, the United States and the United Kingdom.